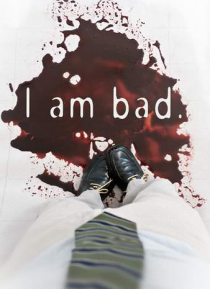 I AM BAD is the voyeuristic story of a serial killer in love. Shot entirely from his point-of-view, we see what he sees, and travel through his life from his brutal childhood to the power he reclaims as an adult when he begins to feel the thrill of killing. Then he meets Anne. She's training to be a psychiatrist. Now his life alternates between the warmth and love he feels with Anne, and the horri… fic bloodshed he creates in her absence.